They had a son named Лаврентий and Абакум. Семён was born in 1746. Ефимия was born in 1770. Ефимия is no longer alive. Абакум was born in January 1806. Лаврентий was born in 1807. He died at the age of 50 in 1857. This page is within a frameset. 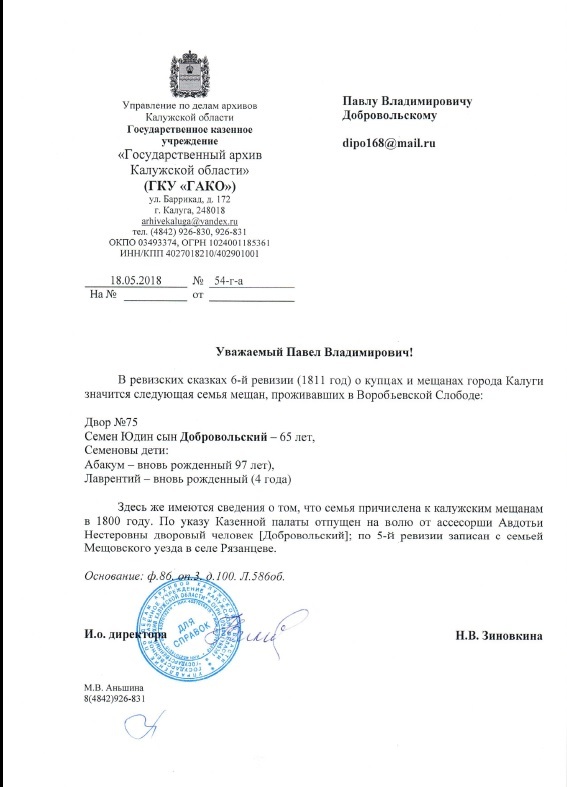 View the entire genealogy report of family Семён Юдович Добровольский & Ефимия Михайловна Страмаусова (Добровольская), or surname index or report summary.